Perfect for husbands work boots! Great fit great price could not ask for more. 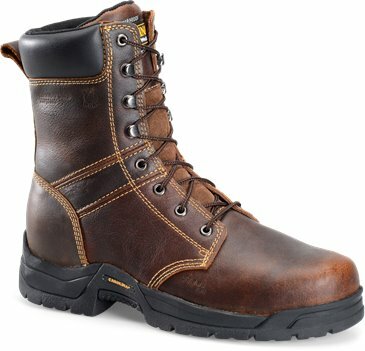 Comfortable fit and sole lands square for good stability, excellent work boot. I have bought this boot for our son numerous times. He is in construction and swears by it. Will continue to but it!! Great boots. Very comfortable from day one. I wear a 13 but i ordered a 12 and they fit perfectly. They are comfortable and the waterproof is great. I have had them for under a year and they started to go. The Rubber sole of the boot is separating from boot, still waterproof though :). 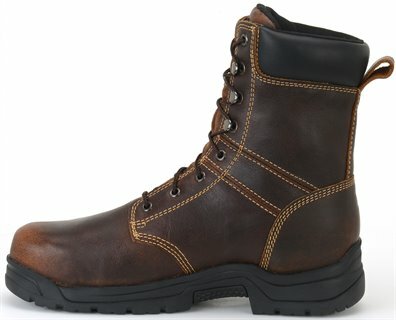 I am ordering a different bottom boot but overall I am satisfied with the quality for the price. I wear them M-F and i work construction so these Boots got a beating.